A massive petrochemical and manufacturing expansion is underway in Southeast Louisiana. An analysis of projected job openings, taking into account new job creation as well as openings due to anticipated retirement of baby boomers, reveals there will be more than 42,000 job openings created between 2013 and 2020. This provides Southeast Louisiana with an unparalleled opportunity to scale up our regional skill set. The new “energy boom” can catalyze the development of systems and solutions that nurture home grown talent on a broad scale. Energy-catalyzed investments in petrochemicals, advanced manufacturing, and the energy industry, totaling $21 billion, will likely be the largest jobs creator in Southeast Louisiana for years to come. The ensuing wave of new job openings will be more than quadrupled by the massive retirement of baby boomers happening at the same time. The majority of 42,000 openings will be in occupations that require just a high school degree complemented by various levels of training — such as welders, machinists, and pump operators — and offer a high median wage between $15 and $35 an hour. Sourcing sufficient workers for the new “energy boom” will be a challenge. The ability of employers to meet their demand for middle-skilled labor is a national issue. Supply simply has not kept up with demand. 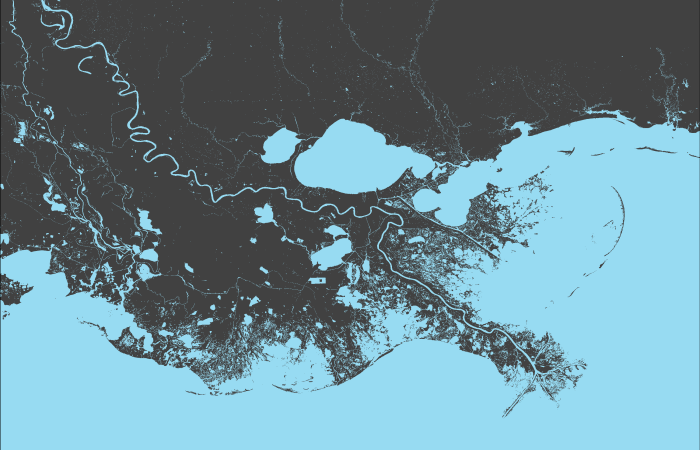 Many potential workers in Southeast Louisiana’s cities and suburbs represent a possible untapped resource. While officials have touted low unemployment rates in Southeast Louisiana recently, these rates do not take into account those adults who are not looking for work. In fact, the 65.6 percent overall employment rate for Southeast Louisiana (which accounts for those not in the labor force) is no better than the national rate. The new “energy boom” is projected to inject into the economy thousands of jobs with family-sustaining wages. If awareness can be raised about these jobs, they should be very appealing to discouraged workers. Nonprofits working to reduce income inequality will be key to the success of any initiative to maximize these job opportunities for local residents. In addition, community and technical colleges will need expanded capacity. Industry must play their role by informing training curricula, and sponsoring transportation options to bring workers from population centers to training and work sites along the river and elsewhere. A skilled administrative intermediary is needed that can weave together multiple public and private funding sources, and coordinate the efforts of employers, educators, and various service providers to supply multi-layered supports that help unemployed adults make the transition to work. The task is complex and will require significant investment. But done right it will infuse a new cadre of outstanding people and ideas into our economy. Moreover, preparing workers for the petrochemical industry holds the promise of a skilled labor force that can help support the emerging water management industry in Southeast Louisiana as well — ultimately delivering on the bold vision that leadership has for our future.